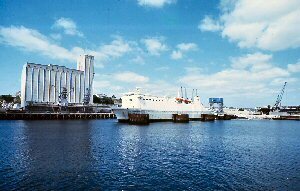 Millbay Docks comprises a tidal basin with 13 ha of water situated within the impressive natural harbour known as Plymouth Sound. From here ferries operate to Western France and the Iberian peninsula. There are good cargo-handling facilities including a ro/ro berth.